Oh dear, here we go again. 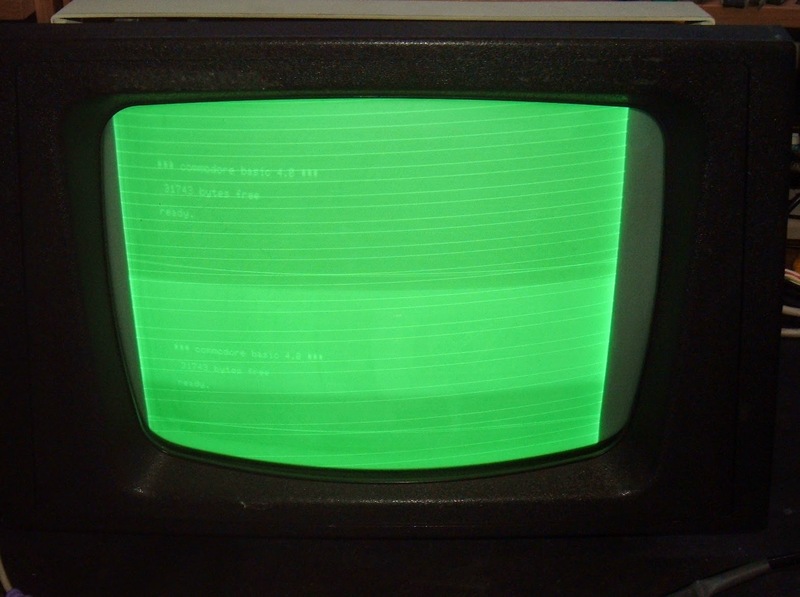 Hopefully this won't take as long as my previous Commodore Pet 4032 restoration. 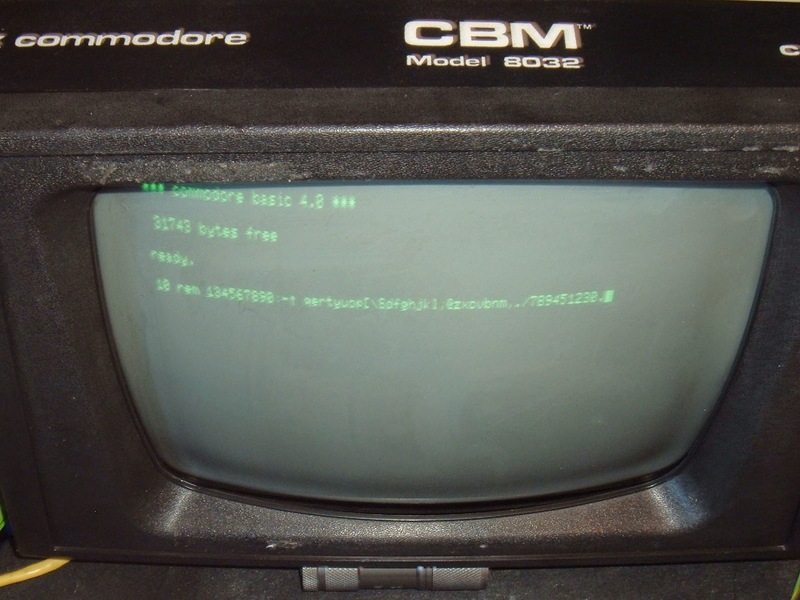 This is a Commodore CBM Model 8032, from around 1980/1981. 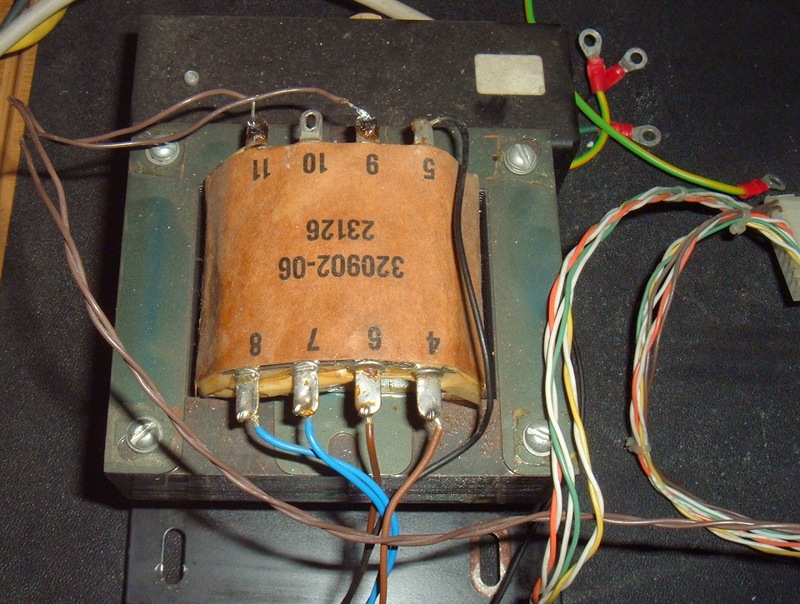 The model is given as 8032-32 B. That is 80 column, 32K, business keyboard. 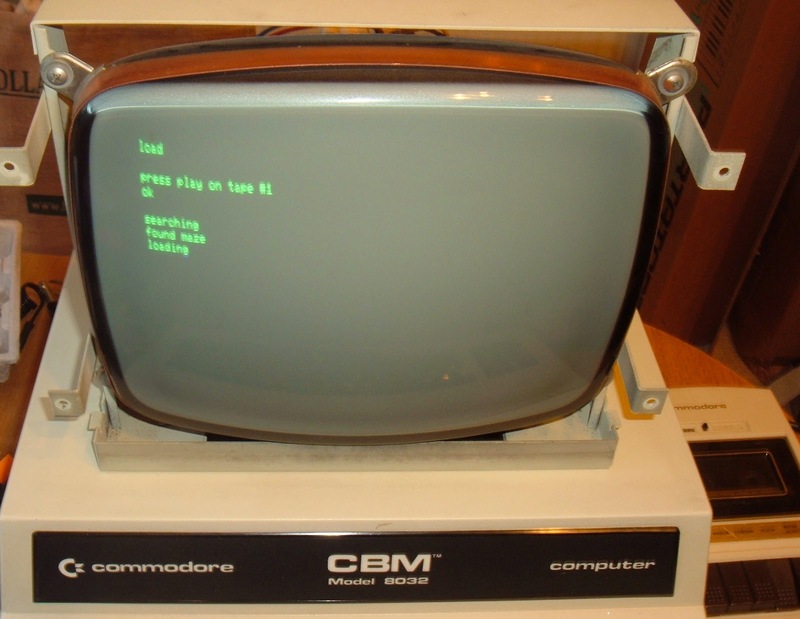 It is the earlier version of the 8032 with the larger section between the monitor and keyboard. 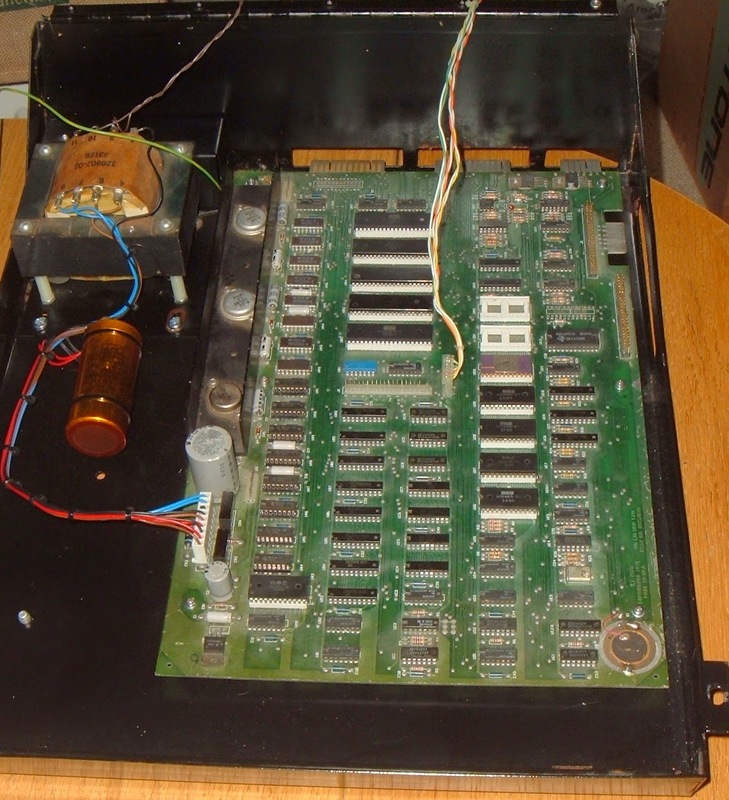 This ebay score appears to have been used for spares, many of the parts are not fixed down, and at least the main board is not the original. 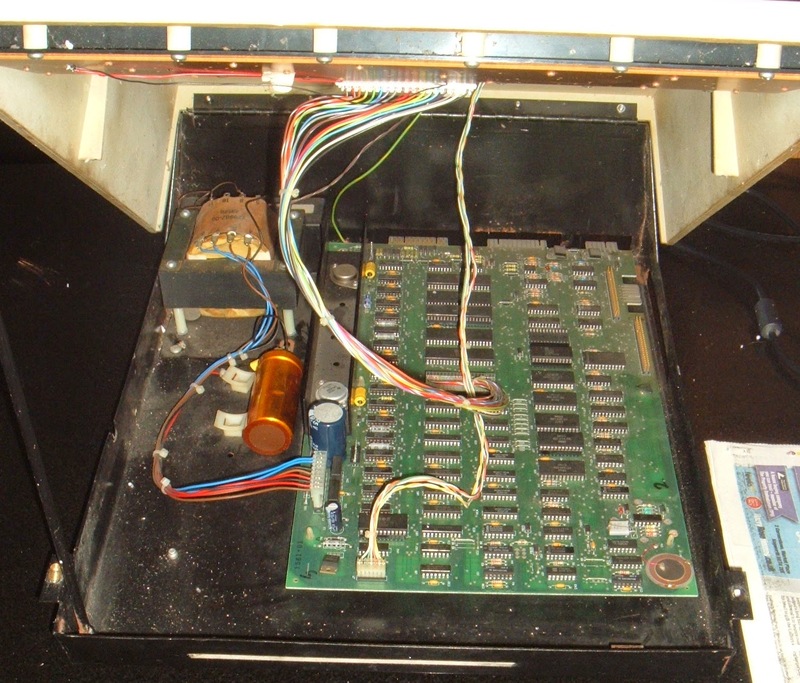 The board is not bolted down, and is the later universal 40 or 80 column, 16K or 32K board, dating from 1983. It is also not working. I will fix this board later. 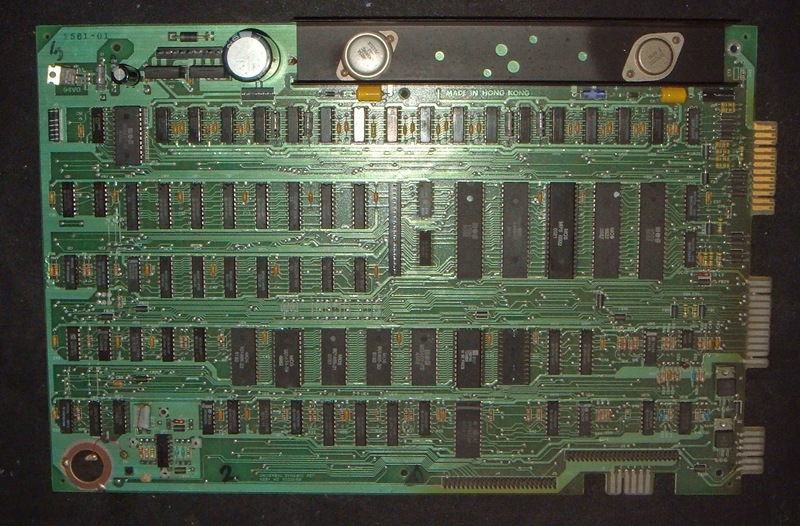 For the moment, I have another ebay score, an 8032 board form late 1980. This is the style of board which would have originally been fitted. It was also faulty, but I repaired it in preparation for this. 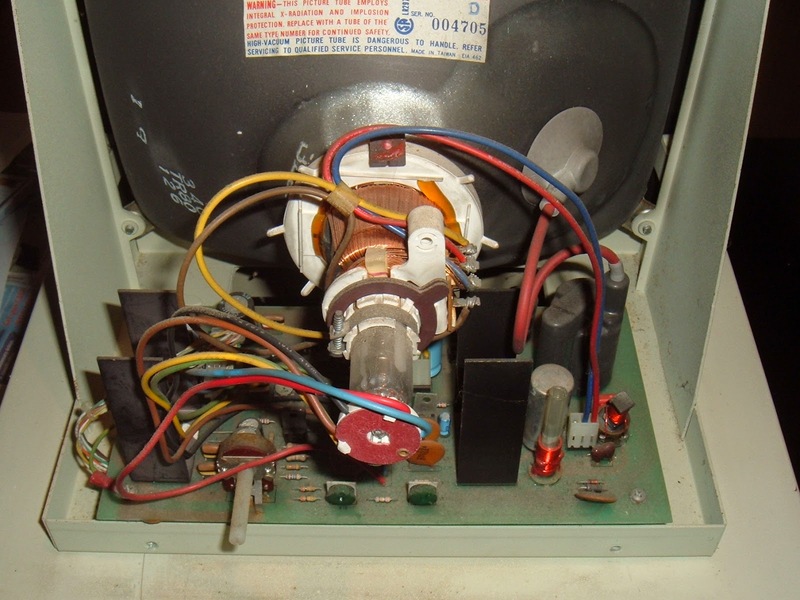 The transformer is the right type, but not bolted down, and it looks like the monitor lead has been reconnected at some point, and the attached capacitor wasn't clipped down. So this may well not be the original. 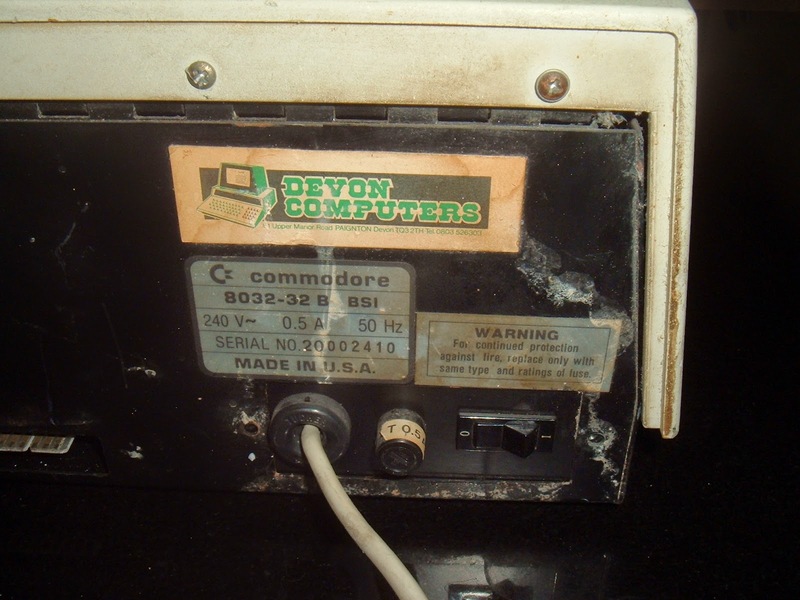 The capacitor is marked as being made in West Germany, where as the serial number sticker on the back of the case is marked made in the USA. Pets were built in both locations, so I suspect the power supply came from a German produced unit. The capacitor was rattling around loose and is a bit dented. It should be 22000uF, with had a stated tolerance of 0/+50%. 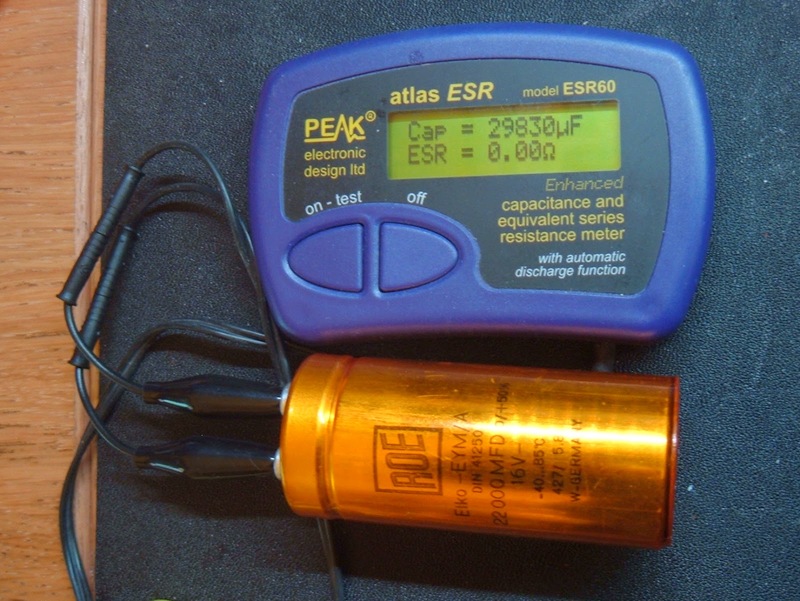 It is now reading 29830uF, still well in spec and low ESR. 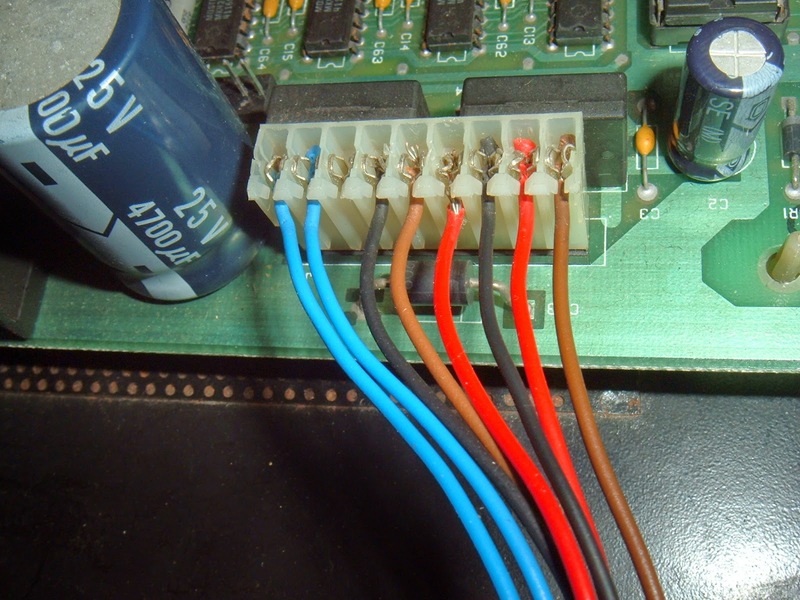 Not bad for a 35 year old part (far better than modern capacitors which tend to be one of the main causes of failure of consumer electronics these days). The power connector is a bit mangled, it looks like someone has tried to fix it by squashing the wires down. Given the damage to that, and I've replaced the plug. 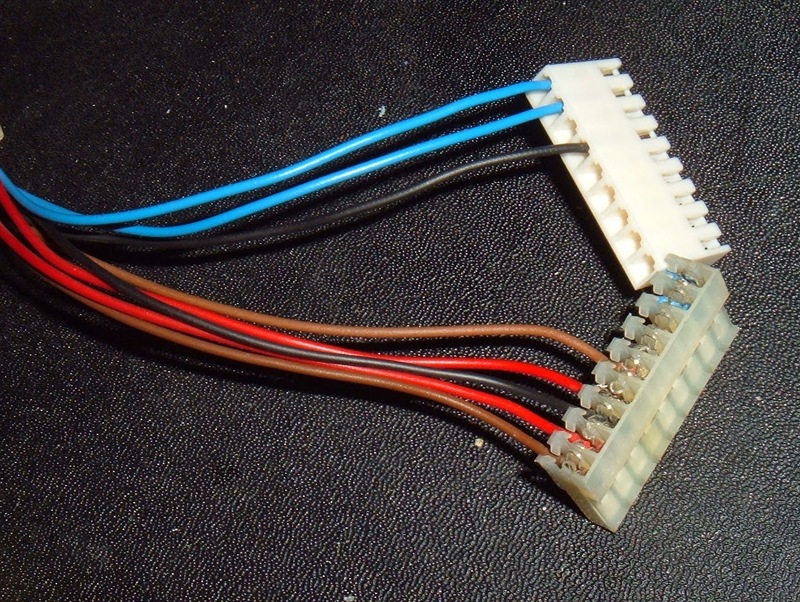 A useful tip in this situation is to do this one wire at a time, to minimise the chance of making a mistake. Pin three is left blank for polarisation. 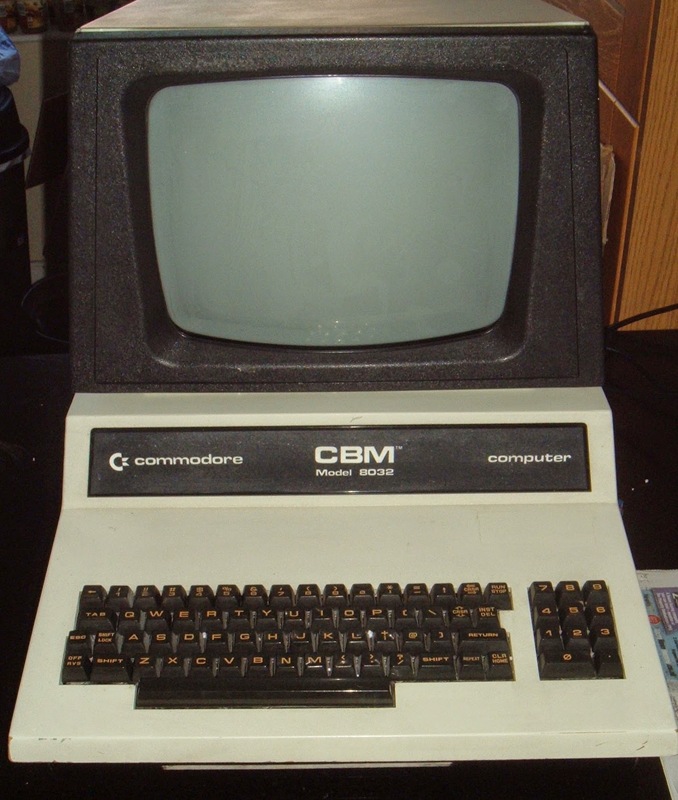 I'm assuming the monitor and keyboard are original, as all the screws are all present and tight. 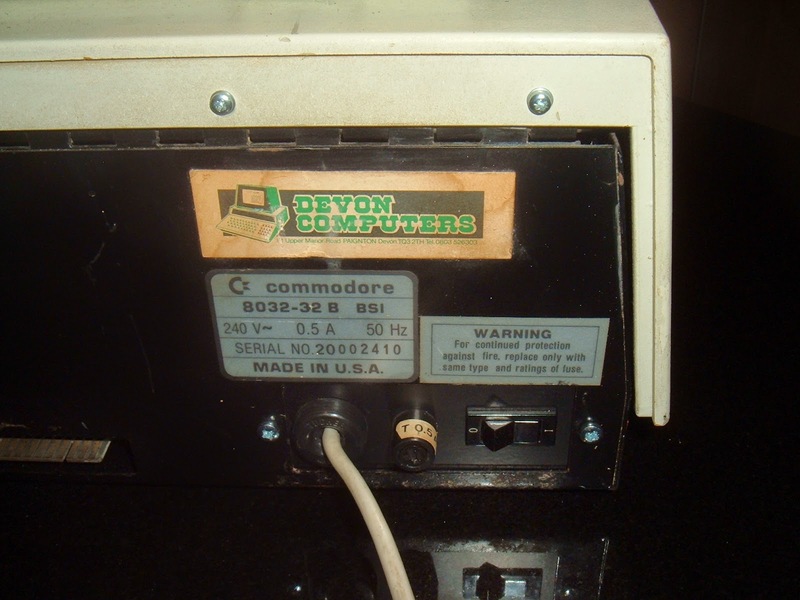 The monitor is an earlier version to the one in the 4032 and 8032SK, but required less clean up that the 4032 monitor. There were a few issues with the monitor. it was out of adjustment, over bright and the vertical hold had slipped. The text on the screen was intermittent, down to a dry joint on the video connector. With that fixed, and the monitor adjusted, it was working fine. The keyboard wasn't too bad, about 90% of the keys were working, but I still went for the full strip down and clean up as with the 4032 keyboard. As usual, the keycaps were removed and washed, and the PCB cleaned and reassembled. All keys were working again, a bit yellowed, but fine. The base cleaned up quite nicely, no need for a respray this time. 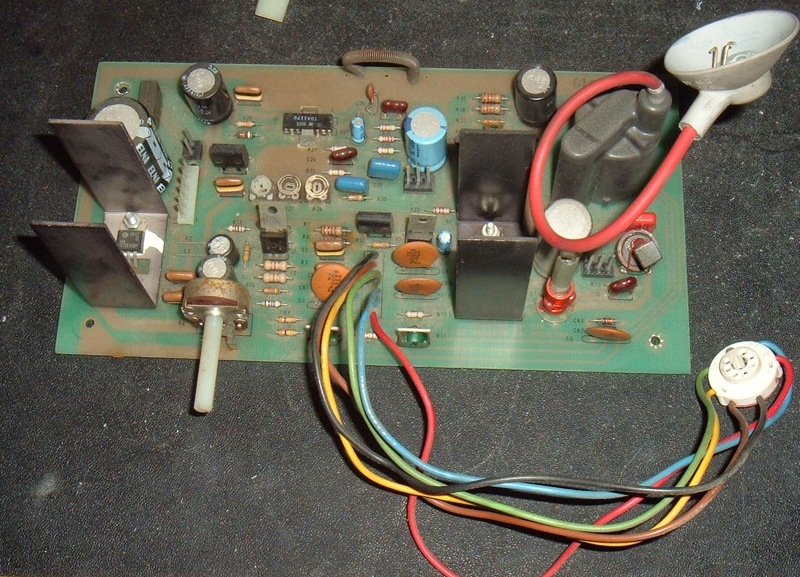 The power supply and board were installed and tested. All working well. The upper case was a bit dirty, but cleaned up. 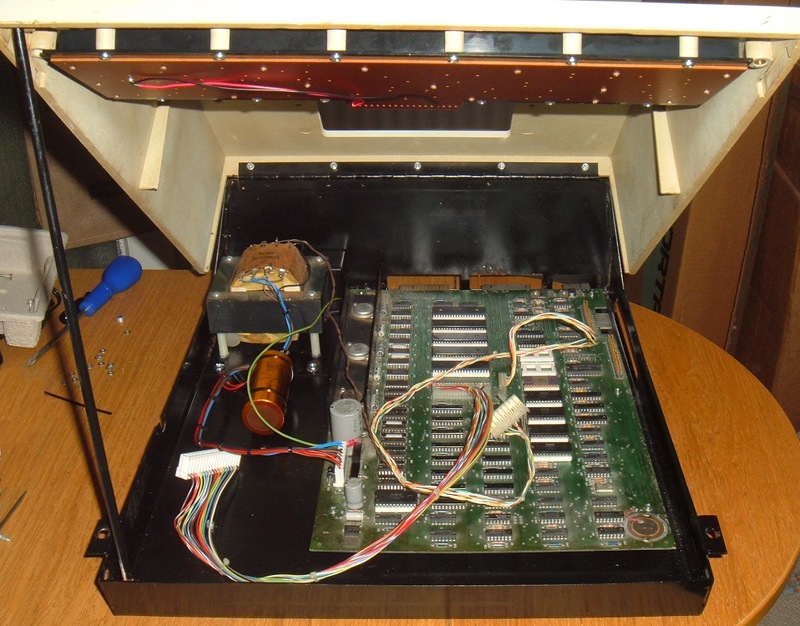 From inside, you can see the extra space in this model hides two slots that look like they could have been for dual floppy drives, but they aren't the right size. 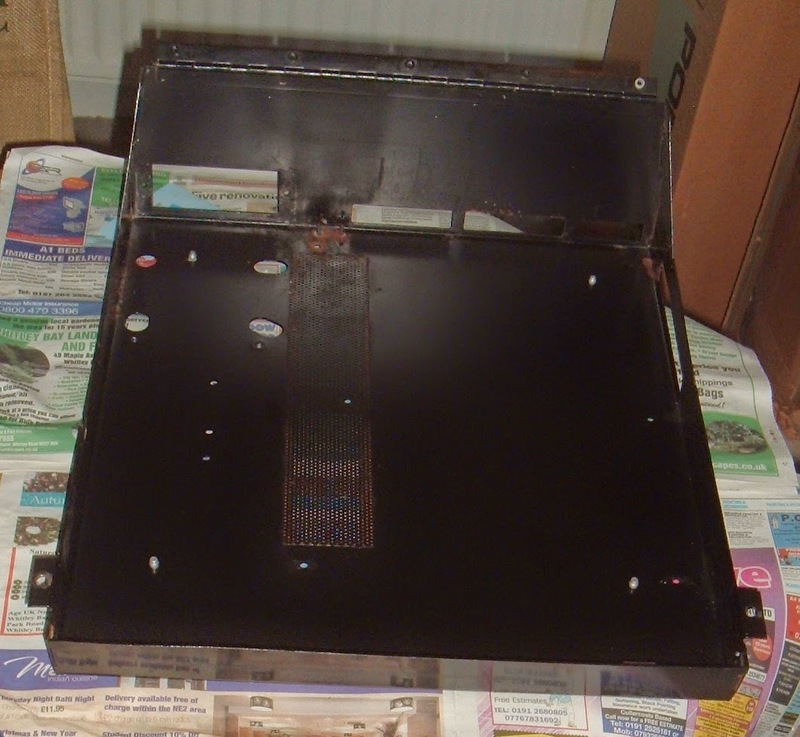 The cleaned case was reassembled with the piano hinge and bonet prop. 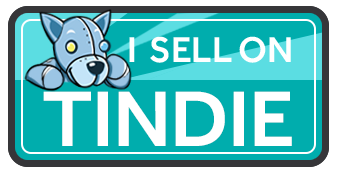 I'm replacing fixing where they are missing or tarnished, and cleaning up as I go. The monitor was reinstalled and the whole setup tested together. After a few runs of memory testing and a long soak test, it's working very well. So there is another computer restored. 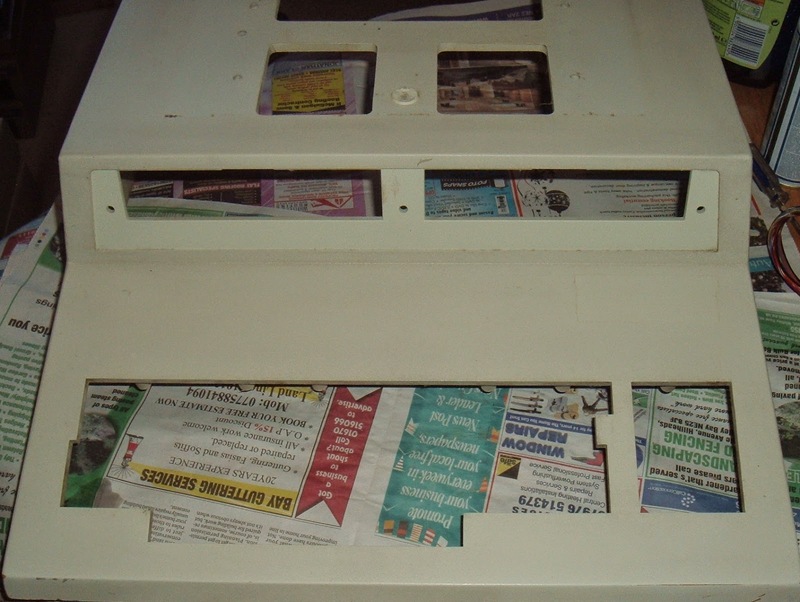 Quite a few faults in this one, the monitor out of adjustment and with a few dry joints. The keyboard needing cleaning to get a few keys working. The power supply plug mangled, and the mainboard faulty (to be repaired later). 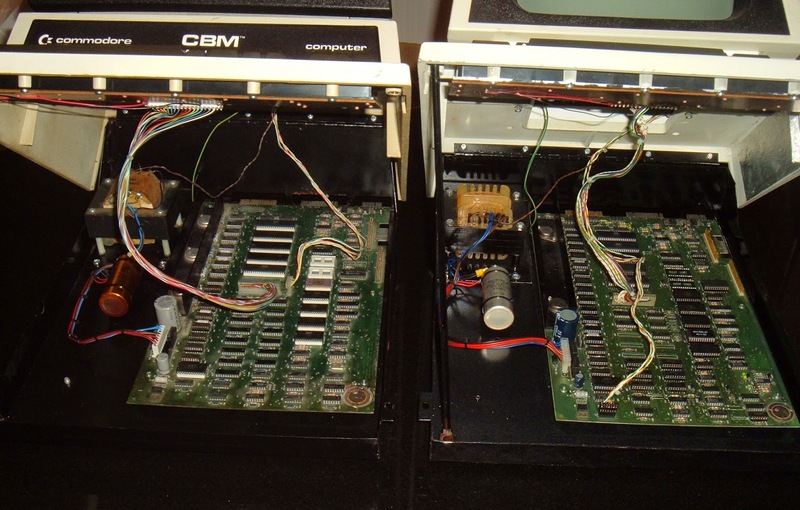 Here you can see the differences between the 8032 on the left and the 4032 I previously restored, on the right. 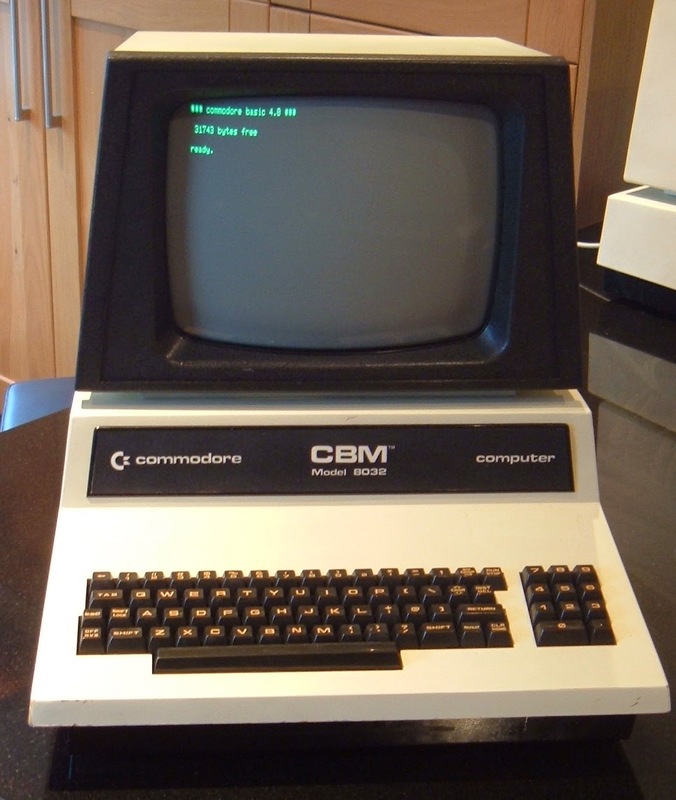 The the higher monitor stand, the business vs graphics keyboard and the 80 vs 40 character screens. 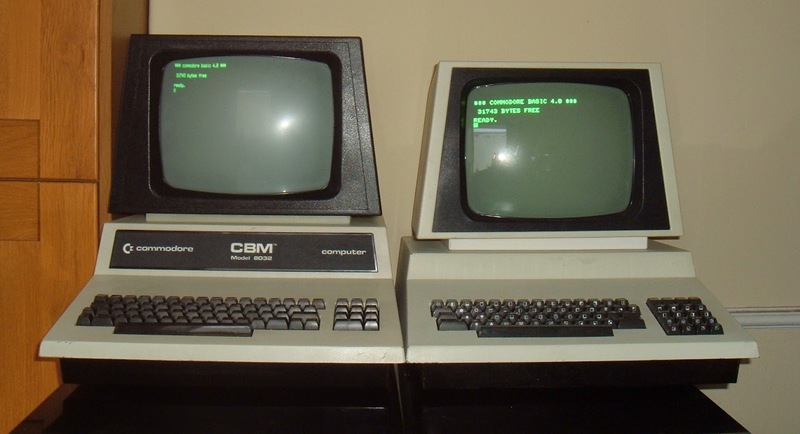 I have to say I prefer the white coloured monitor bezel on the 4032, but they are both very nice machines. 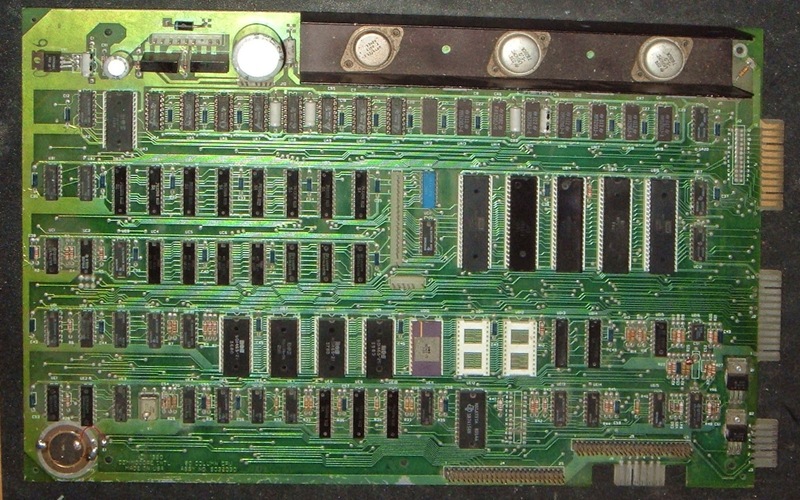 Inside, the different transformers and boards can be seen, and the higher back on the older unit.